Chelsea first-team player would 'rather lose than win for Jose Mourinho' Who do you think said it? ~ CK Jacob: Nigerian Fiction And Lifestyle Blog. Chelsea first-team player would 'rather lose than win for Jose Mourinho' Who do you think said it? 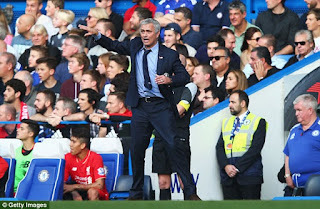 After Chelsea Fc 3-1 loss to Liverpool, according to BBC Radio 5 Live Presenter Garry Richardson, a first team player said he would rather lose than win for his coach Jose Mourinho. 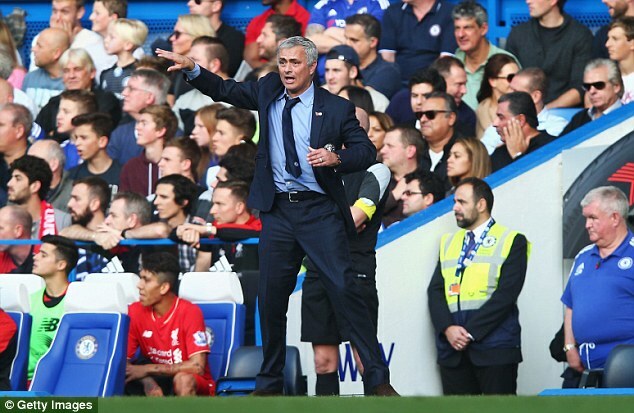 Football lovers knows Mourinho's future as Chelsea manager looks insecure. He has lost for the sixth time in just 11 Premier League games. The self absorbed Blues boss was given public backing by owner Roman Abramovich last month, but since then the team's form has not improved while a number of players continue to struggle for form. Who do you think said he will rather lose than win for his manager. I am suspecting Hazard. Such a player shouldn't even b among the substitutes not to talk of being in the first team. He is a saboteur. Mourinho might not be loved by most, but he brings glamour to the game. Anyway, wetin concern me with Chelsea self when Real Madrid is making me proud?